Find the Yacht of your desire and fulfil your dreams! Seascape charter advisor who will help you in anything required to make the right choice. 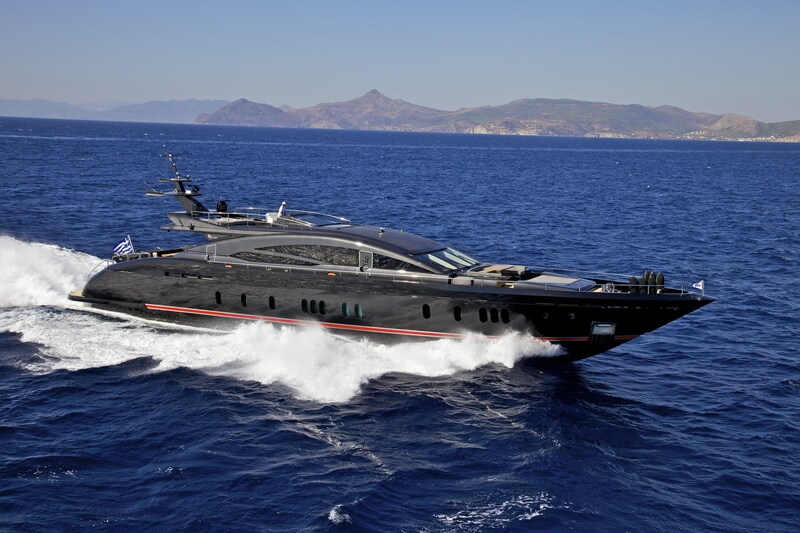 Seascape happens to be one of the best leading companies for yachts charter in Greece. It is one of the best services to charter a yacht or rent a yacht in Greece and in the region of Mediterranean and is now a highly recognized and popular agencies for international yachting. The company is also a part of the major yacht service association which is called MYBA and also one of the founding fellows for the Greek Yachting Association. How to Rent the Best Yacht in Greece? Seascape was established during 2007 by the Flagship Yachts professionals and the best yacht charter Greece has extended its services from chartering to sales, novel construction, management and brokerage of yachts which are crewed. Seascape makes sure that the clients’ expectations are simply not met instead they are always exceeded and hence a personal charter broker is assigned to clients. The immensely trained brokers of Seascape have a vast knowledge about the chartering destinations and yachts along with their impeccable passion and constant desire for yachts and sea will bring you a remarkable experience of yachting. In addition, the Greek yachts charter cost with Seascape is most affordable as compared to other yacht chartering services and one gets the best yacht charter prices with Seascape only. Having a private yacht charter is a very unique experience for a few people. Sailing at a private yacht can be called as one of the utmost forms of luxurious travelling and a very luxury experience which offers a definite sense of freedom for anyone. With flexibility, innumerable choices, personal privacy and the best luxury yacht charter, cruising on a luxury yacht is an experience comparable to none other. A luxury yacht holiday in Greece is the best way and one of the very few experiences which offer one to explore the most beautiful and stunning destinations on earth. Whether a person is experiencing luxury yacht holidays for first or tenth time, is planning go a family charter or a honeymoon trip or a visit to the destinations of the cosmopolitan – we highly believe in the fact that our commitment, attention and incomparable intuition will definitely surprise our clients positively and luxury yacht holidays in Greece will be the best experience for them! The highly trained brokers at Seascape have travelled to many unique destinations for charter and have had a keen look at the latest and most luxurious yachts across the world to ensure that they always select just the perfect one for their clients at the most ideal charter spot. Chartering private luxury charter yachts provides a very unique experience which has been designed to suit one’s preferences and luxury yacht holidays’ style which they wish to enjoy. The most remote destinations, islands that are isolated, and hidden beaches and caves can be explored, in addition to visiting the diverse locations and becoming a part of the jet set trip while maintaining one’s privacy. This is a secluded world of experiences which are unheard with a long exciting list of options that range from getting charter yachts, super and crewed yacht charter with skipper and much more which is all an exciting challenge for us – a challenge that shall transform a relaxed experience for the guests and charterer! Greek Islands, Mykonos, Athens and many more! As we mentioned earlier, there are many destinations which are explored by Seascape’s brokers for our clients. One can enjoy luxury and crewed yacht in Greek islands. Mykonos is one of the most popular destinations where yacht charter Greece Mykonos is in great demand. In addition, yacht charter Greece Athens is also one of the most talked about destination service by Seascape where our clients love the yacht charter Athens and yacht charter lefkas Greece service as well. The yacht charter of supreme quality can be an unforgettable experience which can override one’s all type of holiday experiences. Beginning with a very luxurious pick up in a limousine and extending to a drop off by a helicopter to the private villas rented out for clients – our one prime and singular motive in all this is to simply provide the utmost pleasure and the utmost comfort at luxury to our customers. We work day and night tirelessly just to ensure that all needs of clients are covered from extravagant luxurious meals to the rare wines demanded, organizing events for them or bookings at high-end restaurants and exclusive spas, our immensely skilled and highly trained team ensures that all such needs and demands of clients are covered and we meet them beyond their expectations. At seascape we are a team of highly trained professionals who strive to provide the best services and finest experience only and hence, the Yacht charter service is an ideal thought got a perfect honeymoon trip or a relaxing holiday. With our services, our clients can rent a boat in Greece with a captain or even enjoy a yacht with the crew! Both have their own perks and a phenomenal service for making your particular trip the most memorable one of your life! Cyclades yacht charter is also a great idea for those who like to have an experience of Cyclades sailing holidays because trust us – this experience is like none other! Bareboat or Skippered Yacht Charter - Whats your Choice? Seascape offers both yachts bareboat and skippered yacht charter in Greece and it is one’s own choice what they prefer. These services by Seascape extend to skippered and bareboat yacht charter in Greek islands. It is one’s own preference what they like the most, but our services ensure that we always offer our clients the best in whatever they choose for themselves and make their experience one of a kind and a very remarkable and memorable one for them! Copyright © 2008 - 2016 Unique Properties. All Rights Reserved.